Over on Absolute Michigan we got the news that strawberries are showing up in southeast Michigan, which means that before too long, they’ll be up here in northern Michigan along with their good friend SHORTCAKE! Click over for a bowlful of Michigan Strawberry goodness! 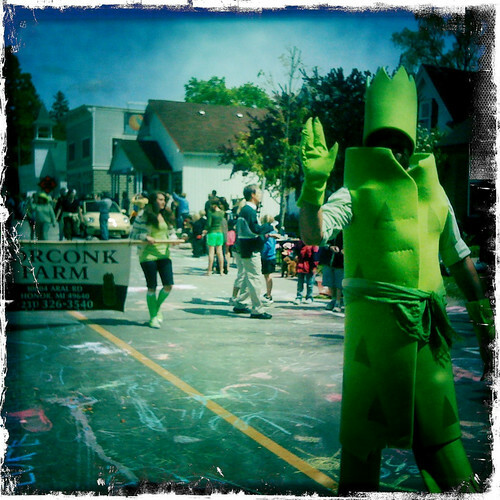 Today I blogged a photo from Jim Sorbie to Michigan in Pictures. 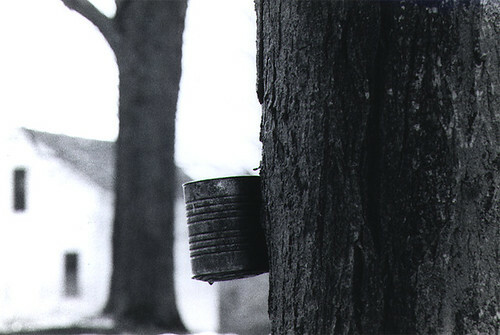 We used to make it when I was a kid, tapping the maples on M-22 by our house. The whole process is one of my favorite memories, and I can’t begin to describe how good it felt to bring a metal cup our and drink cup after cup of sub-freezing sap before school while I waited for the bus! Unlike North Americans who collect maple sap to boil down into syrup, Korean villagers and their growing number of customers prefer the sap itself, which they credit with a wide range of health benefits. In this they are not alone. Some people in Japan and northern China drink maple sap, and birch sap has its fans in Russia and other parts of northern Europe. But no one surpasses southern Koreans in their enthusiasm for maple sap, which they can consume in prodigious quantities. But how can you drink the equivalent of more than 50 beer cans of sap at one go? 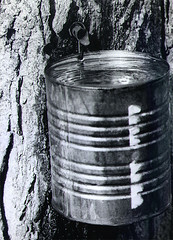 For more about how syrup is made, check out The Cycle of Sweetness: From Sap to Maple Syrup. You can also read a little about how Native Americans made maple sugaron Michigan in Pictures. Absolute Michigan has more Michigan maple syrup features & links. The photos were taken by my dad, Allan L. McFarlane. Listen to more of Greg Brown on Mountain Stage at NPR Music. The show includes some sweet tunes from Sin, Salvation and Saving Seeds, is a fundraiser disc for Seed Savers, an Iowa-based organization that is the largest non-governmental seed bank in the United States, with more than 25,000 endangered vegetable varieties. Been kind of busy, but as usual I have been having a great time on Michigan in Pictures. It’s pretty much my favorite thing about the internet. Seriously though. THE Banksy was in Detroit! Even more seriously though, what part of the soul of Michigan rests in Ernie Harwell’s voice on a summer night? Chef Anthony Bourdain and a cavalcade of culinary all-stars get blown away by America’s Greatest Chef, Thomas Keller of The French Laundry. I know that I totally blew the “Ben Wallace is back” NBA Comix … I probably could have done a whole week’s worth on that topic. Sorry about that. 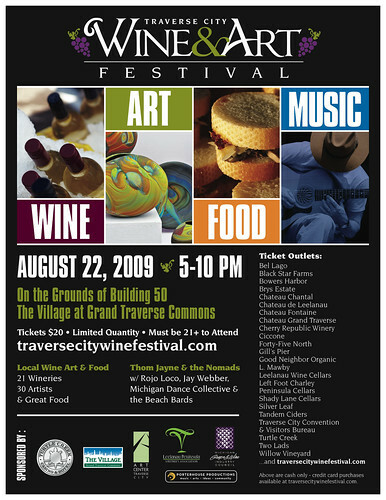 I’ve been working on the Traverse City Wine & Art Festival. It’s the first annual of what I hope will be many and happens Saturday August 22 from 5-10 PM at the Grand Traverse Commons in front of Building 50 on the lawn under the big tent. The evening will feature wines from 22 wineries from the Leelanau and Old Mission Peninsulas and a selection of Traverse City and Leelanau restaurants serving food & desserts along with fantastic music from Rojo Loco, Jay Webber and Thom Jayne and the Nomads. I’m amazed at how much work there is involved in putting together a major festival and so grateful that we’ve been able to assemble such an amazing team of volunteers and staff to put this event on.